Blackrock Mountain is a second expansion pack to popular cards game – Hearthstone. This adventure campaign was created for solo playing, where you need to defeat bosses in all 5 wings, like it was in last expansion “Curse of Naxxramas”. In depths of Blackrock Mountain Azeroth’s most heated conflict awaits you. War between elemental lord of fire, Ragnaros, and powerfull leader of black dragonflight, Nefarian, started since Azeroth was born and continues for many centuries. You will need to plunge in fiery elements and challenge your Hearthstone mastery. What awaits me in Blackrock Mountain? In this adventure you will need to clear five wings of Blackrock Mountain, in first three wings you need to kill 3 bosses each, in other two wings – 4 bosses. Every boss is unique with own unique abilties and cards, which power can throw you in shock. Blackrock Mountain expansion, like in last expansion, have three modes: normal, heroic and class challenges. To pass Blackrock Mountain in the normal mode you need to collect serious card collection and to save up enough time. And for the heroic mode you need serious experience of HS and strong nerves, not for nothing this expansion is called the most difficult! But don’t despair! 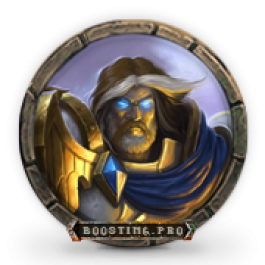 If you lack experience or time for passing of this addon, you can order from us boost of the Blackrock Mountain and receive magnificent cards which are still used in packs of the best players of Hearthstone. Wings of the Blackrock Mountain open in a certain order, one after another, and access to the heroic mode appears after cleaning of all bosses in the respective quarter in the normal mode. Which rewards can be granted in adventure of Blackrock Mountain? For victories over bosses and closing of wings of the Blackrock Mountain you will receive new cards. Cards are given at once after killing of any boss therefore you will be able to add them to the pack at once. In sum for whole the Blackrock Mountain dungeon adventures is possible to receive 31 unique cards. 9 unique class cards for completing class challenges. We have added an additional feature for you – Hearthstone adventures without account sharing! 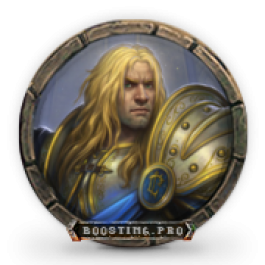 This boost is done using sharescreen. There are two options – though for any option our booster needs a stable connection to your PC. Skype sharescreen. Our booster calls you on Skype and you turn Skype Screen-share on and he controls your gameplay (tells you what to do). Service is available in English and Russian, as you prefer. You should be at the PC during the service. Teamviewer. You need to install that program, launch the game and give us your Teamviewer connection details, so our booster can connect to your PC. During the boost you won’t be able to use your PC but you can watch the game from your screen! We need approx. 4 hours to get through Blackrock Mountain in Normal mode or 6 hours in Heroic mode. Some cases might need more time – but we’ll warn you about those cases in advance! 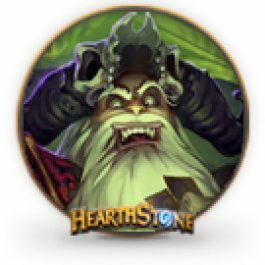 Base cards pack for all heroes (10 lvl for each hero). If you order the service without account sharing, your intener speed must be over 2 MB/s. Not all my heroes are level 10, how do I order this service? To get Blackrock Mountain done you need to have all base cards for all heroes (hero level 10). You can level the heroes yourself or order hero leveling from us. I want my card back, but I don’t have normal mode cleared. In this case you’ll need to either clear Normal mode yourself or order a Normal mode boost from us. I have only one or few Blackrock Mountain wings- and I want all of them. You can buy your missing Blackrock Mountain wings in the game shop for ingame gold or real currency.